I still had some leftover turkey and turkey stock sitting in my freezer waiting to be used. My turkey hangover had finally passed from Thanksgiving the other day, so I decided it was time to make a turkey soup as planned. 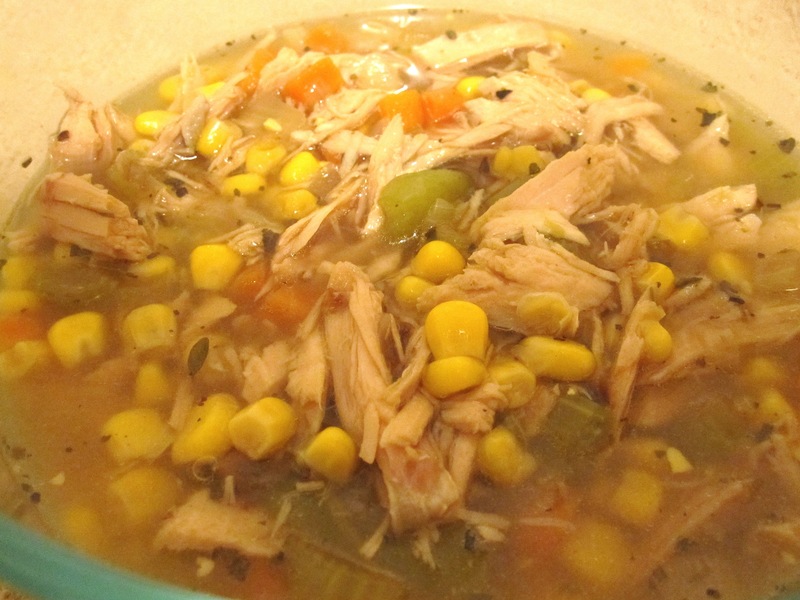 I gave this soup a bit of a “fiesta” flavour and it features roasted tomatillos and corn alongside the turkey. This is a slow cooker recipe (my favourite kind of recipe), but it does require a little bit of prep beforehand other than just some chopping. The prep can definitely be done the night before and stored in the fridge so that you can toss everything in the pot in the morning and head off to work or go about your daily duties with no fuss or worry. 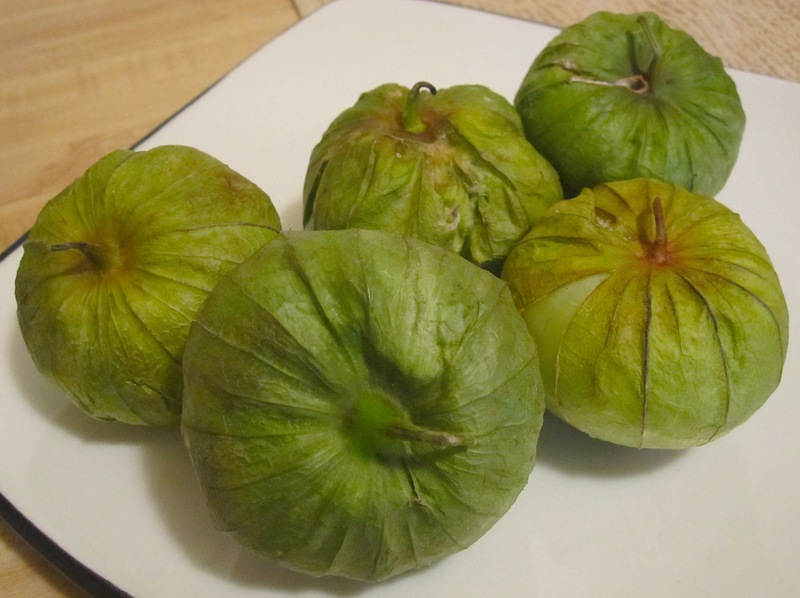 Now I had never worked with tomatillos before this recipe and was initially going to make a salsa verde sauce when I purchased them, but then decided that I wanted to experiment and incorporate a roasted version of them into my soup. The result was delicious!…..I still have all intentions to try and make a salsa verde sauce though. This little mixture of roasted tomatillos, onion and garlic is essential to the flavour of the soup! 1. Preheat oven to 400º. Place chucks of tomatillos in a baking dish and bake in oven until skins have blackened a bit. About 15 mins. 2. While tomatillos are in oven. Heat oil in a saucepan and add onions and garlic into pan, cook on medium heat until onions are translucent. 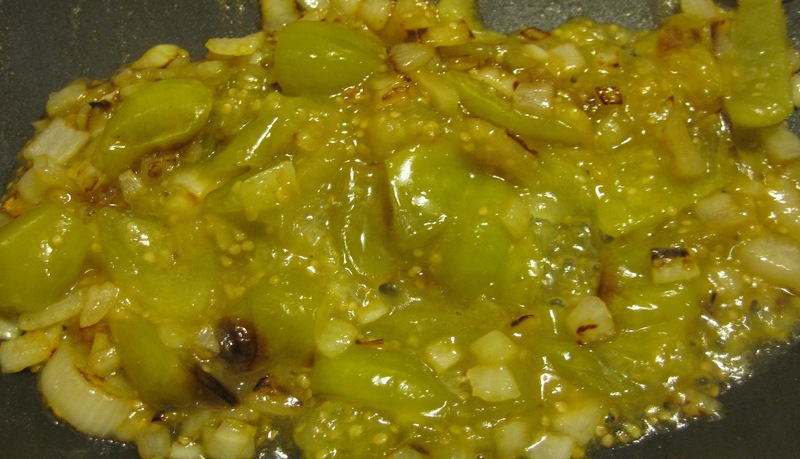 Then add roasted tomatillos into onion and garlic mix and stir, tomatillos should just fall apart into mixture. At this point you can store mixture in fridge if you are planning to make the soup the next day or carry on with the recipe. 3. Add all ingredients, including the tomatillo mixture into a slow cooker and cook for either 6-8 hours on low or 3-4 hours on high. This entry was posted in Slow Cooker, Soup, Turkey and tagged cooking, corn, crock pot, food, leftover turkey, Recipes, slow cooker, soup, tomatillos, turkey by Karina. Bookmark the permalink.